Please forgive me for not posting the event to this blog. I have another one that I'm starting up for my personal brand and with that and being in the mist of moving I clearly got my blogs confused and posted to the other one. Anywho, if you're free tomorrow I would love to see you at One Green Street. One Green Street will be carrying P.S. You're Lovely after this event! Super excited! Sherry is the sweetest so if you stop by tell her I sent you. P.S. You're Lovely is making its way over to One Green Street! 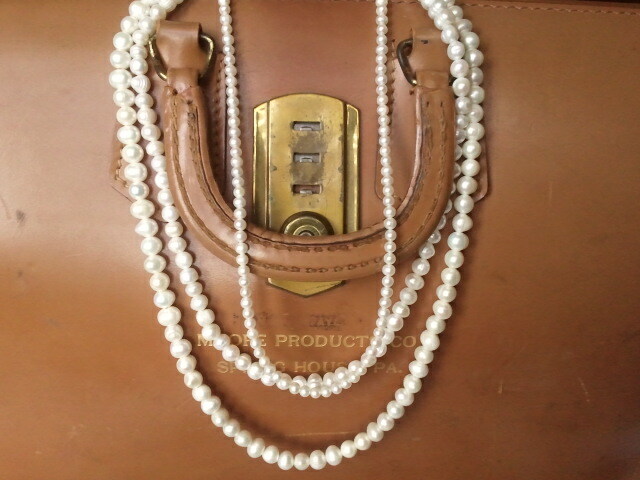 You know you're MAD about pearls so this is the event for you. Come check out some of the wonderful pieces behind P.S. You're Lovely and maybe even discover something you're MAD about too. P.S. 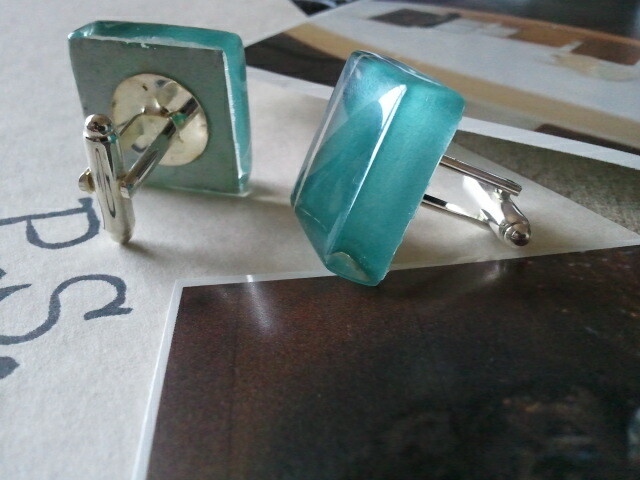 You're Handsome, our upcylced cufflinks for men, will be on display as well. 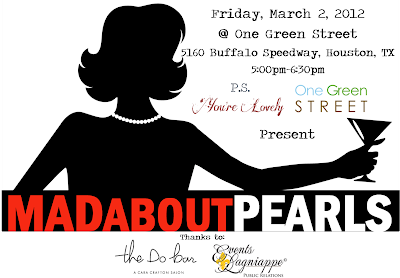 The Do Bar will also be giving mini "Up Do" and make up demonstrations throughout the evening! Lite Bites and Refreshments will be on hand while you soak in the night! If you've never been to One Green Street you are truly in for a treat. This is the most POSH eco friendly and sustainable boutique in town. Beautiful jewelry with some amazing stories behind them, eco friendly home products and makeup, sustainable clutches and so much more. 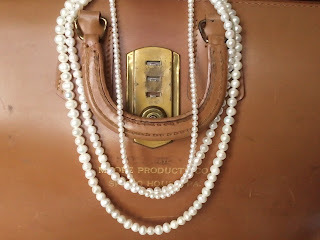 This is an evening you won't soon forget and we promise you'll leave MAD about Pearls. Thank you so very much! I will hopefully have the new pieces posted later this week.